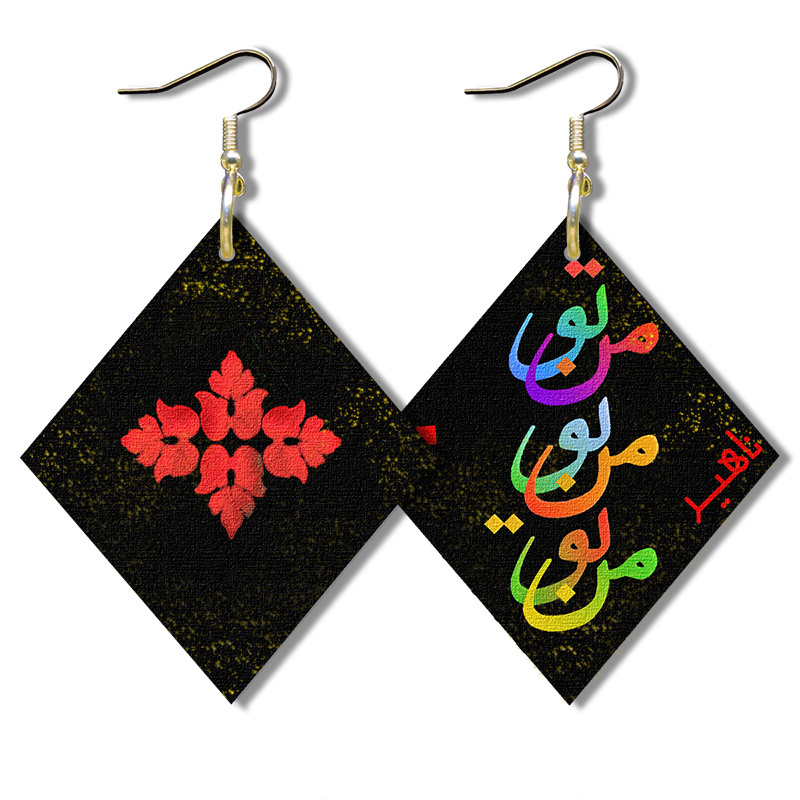 "You I With Red Leaf"
"You in With Red Flower"
These new series of Art-Wear earrings are hand made and they are inspired by my own paintings. They are created on two layers of painted canvas glued together. 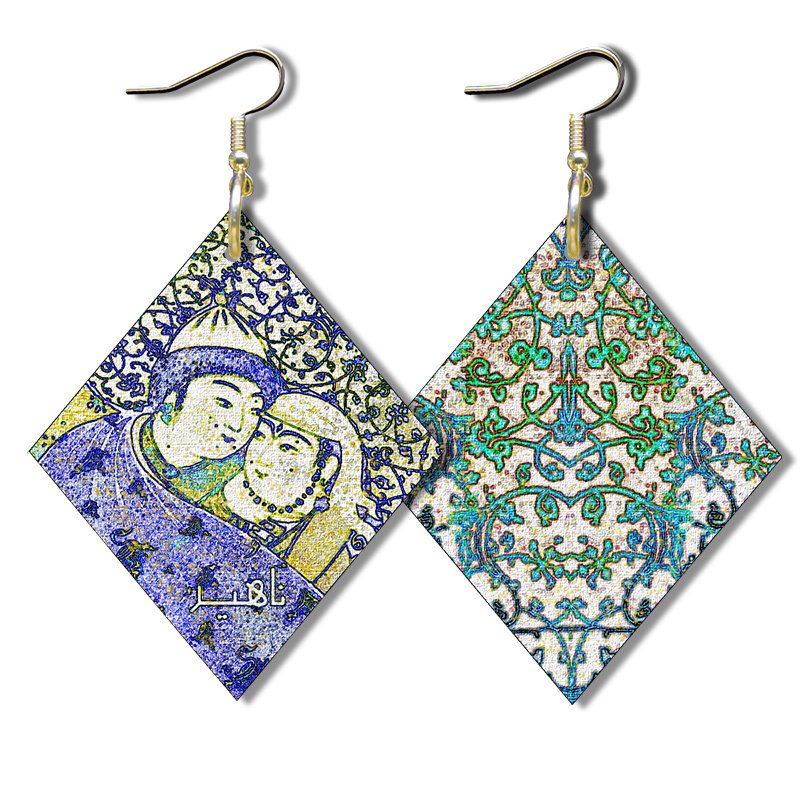 As a result each single earring is made with two layers of artwork, for back and front, representing two paintings. While wearing, it appears a three- dimensional art showing both layers of artwork. 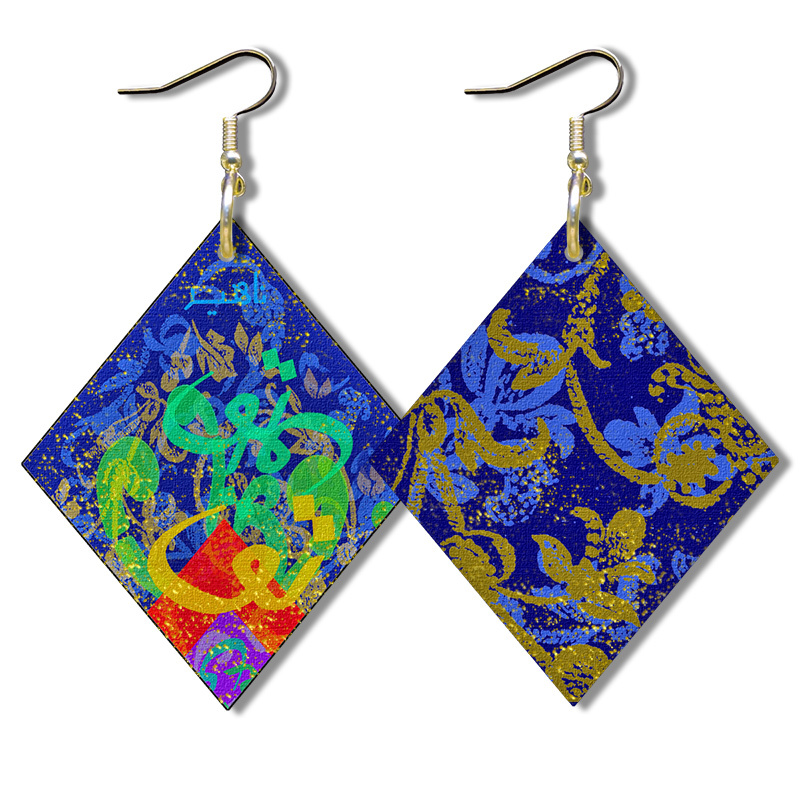 Size: The average size of each earring is about 2 ¼ inch long.